Roadkill Boutique was founded in 1993 when leather craftsman Robert Rasmussen began making jewelry in his garage and selling his products to retailers like Urban Outfitters and Hot Topic. Not long after, his wife Julie left her buying career at Nordstrom to team up with him to build the business. Both have a love for vintage, so when they grew out of their garage, they opened a boutique selling leather jewelry along with hand-picked vintage clothing. 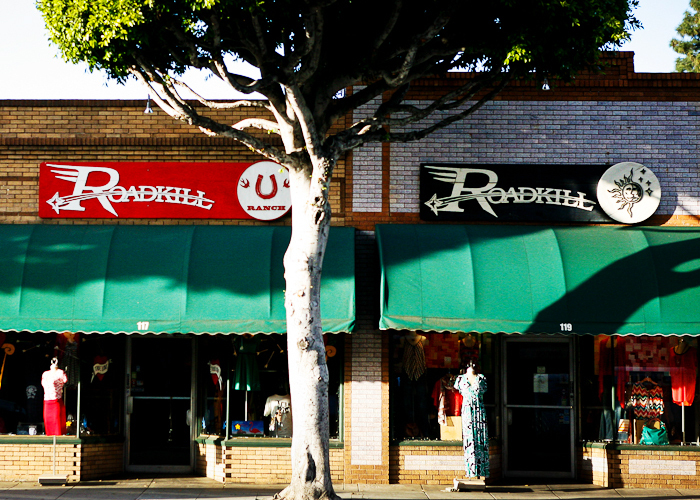 In 1995, the first Roadkill store was born in Orange, California. A year later, they relocated to Fullerton, California, where the store is today. In 2009, they expanded the store by taking over the 1,000 square foot space next door. The expansion, known as Roadkill Ranch, is a mecca for Rockabilly and Pin-Up lifestyle clients.